It’s a new year! And we are welcoming 2017 with our doors open here at The Loft. Have you been having some issues with cold sores this winter? Those painful and uncomfortable lesions can get in the way of life! For those of you who saw our previous blog introducing laser dentistry, we would like to continue getting a little more in depth with the possible cutting edge treatments. Have you ever had a sore on your lip or in your mouth? A cold sore or fever blister is caused by the herpes simplex virus I or II. They are commonly transferred by kissing, sharing drinks, or sharing chapstick. They can be very unsightly and painful. The great news is, they can be easily treated by the laser with a quick and painless procedure that may even be covered by your insurance! 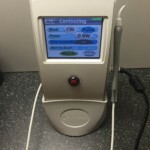 Our laser is amazing for getting those pesky cold sores! When it comes to cold sores or herpetic lesions, there is an ideal time to laser them. Many cold sore sufferers often experience a prodromal syndrome with their cold sores. It is the period before the sore is manifested on your face or in your mouth when you experience a tingling sensation. If the area is lasered at this point, there is a very good chance that a sore will never become visible or be gone within 2-3 days. If however, you do not experience a prodromal syndrome the best time to laser the lesion is in the first 1-3 days before it has begun scabbing over. In most cases after lasering, the lesion will progress to the drying stage overnight reducing or eliminating any pain that is normally associated with herpetic lesions. Studies have shown that lasering herpetic lesions can also increase the time from between recurrent episodes and reduce the number of outbreaks. If you are a sufferer of cold sores or canker sores please keep laser treatment in mind as soon as you have your next lesion! It is a quick painless procedure that we at Sugar Fix Dental Loft can usually complete same day! Dr. Jessica Emery and her team are committed to their patients and their oral health! Make sure to follow us on social media to keep up to date on everything Sugar Fix!